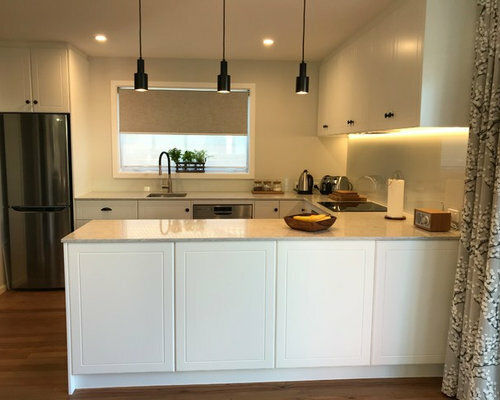 Our customers have transformed their Avondale property by removing a wall separating the existing kitchen from the living area, polishing the beautiful wooden floors and installing a gorgeous kitchen with Caesarstone benchtops and white satin cabinetry. 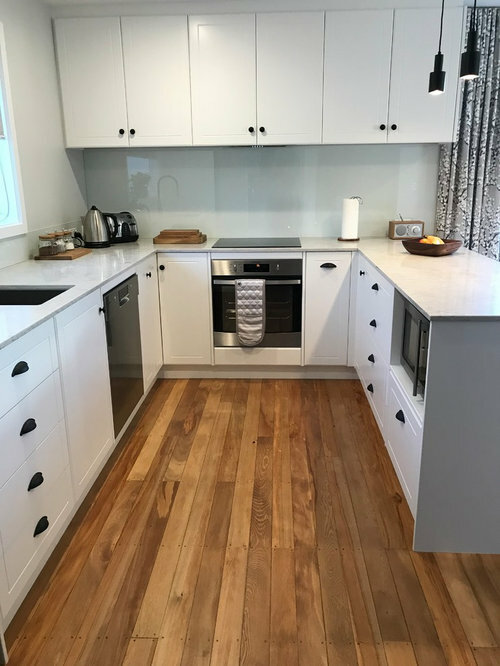 This kitchen features Caesarstone Bianco Drift 20mm benchtops with Dezignatek Classic White Satin cabinetry (Capri door detail). This kitchen features Caesarstone Bianco Drift 20mm benchtops with Dezignatek Classic White Satin cabinetry (Capri door detail). The rangehood is recessed into the wall cabinetry which also has an LED strip running along the back. 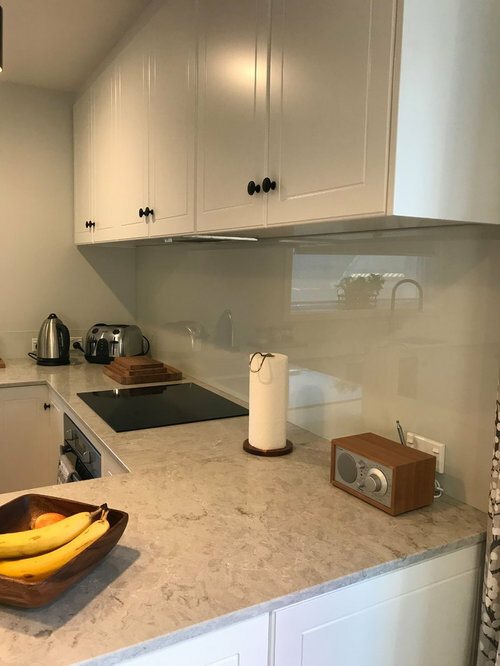 The glass splashback has been painted to match the wall colour. 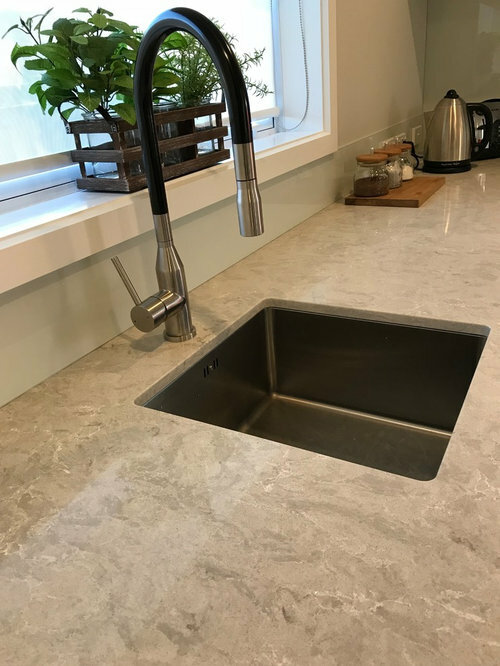 This kitchen features Caesarstone Bianco Drift 20mm benchtops - a single stainless bowl is undermounted. Our customer chose a black and chrome tap. 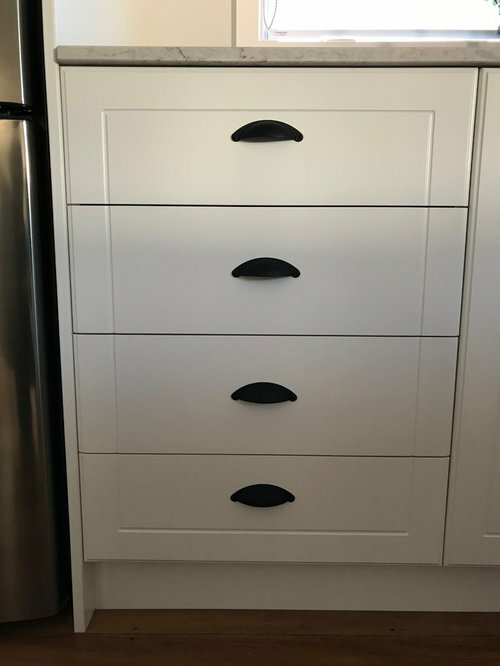 This photo shows the detail of the Dezignatek Capri design on the doors and drawers.